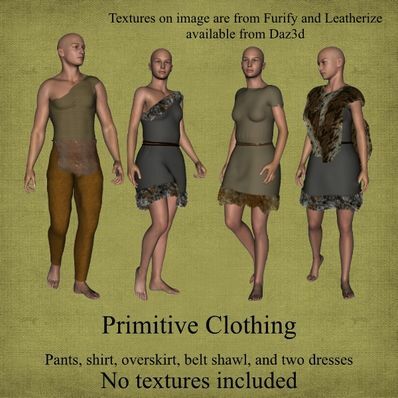 Primitive Wear for Genesis for use in Das Studio 4. Primative clothing for your primitive people. There ar no textures included. Marieah's Furify and Texturizer are ideal for these. Get them from Daz3D.